A good reaction: Let’s say you’ve just met someone/thing who rings your bell. You feel this instantly in your gut. Sometimes the reaction almost knocks you backward. Have you ever felt it? This is your own intuition telling you that something is very right about this person (a dog, a cat?) you’re meeting. It could be a business contact, a romantic interest, but whatever it is, it’s someone/thing you’ll greatly benefit from spending some time with, learning more about them. A bad reaction is the other kind of gut feeling, an uncomfortable ache, and sometimes it’s harsher, like a punch. This is a negative reaction to whatever you are facing. Maybe it’s a person, but it could be a job, a house you’re not supposed to buy, a type of food you’re not meant to eat. I hope you pay attention to these uncomfortable signs from your own inner knowing, as well as the more intriguing signs that make you want to know more. Both reactions, good or bad, if those word judgements apply (better choice is interesting or not interesting) — they come from your 3rd chakra center of energy, located very close to your navel. But the sensation can come anywhere in your midsection. (See my earlier post if you want more detailed description). Ghandi’s mantra was Ram Ram Ram. People who were there say this was the last thing he spoke as he lay dying from an assassin’s bullet. Ram is also the mantra for the 3rd chakra, where we are made to be aware of what our will is. In Ghandi’s case, I’m sure he worked hard to align his will to the highest good. Every time I repeat the mantra for the 3rd chakra, my intention is to gain insight into what is best, for not only myself, but for my fellow humans and the entire planet. Sometimes we have to change our thinking, or our habits, when we become aware of what’s best for the highest good, rather than seeking to satisfy our own. Sometimes our “gut reaction” is based on our limited view, not a universally encompassing one. Perhaps I need to look at the bigger picture. Perhaps what’s happening (either in my own life or in world events) might be for the highest good of all, even if I don’t like it. Transformation is a great sea change. Many people get extremely nervous when things don’t go their way. If you answer, “NO!” then it’s time to take some action. You have a choice, don’t forget. Always, you have choices. If you’re uncomfortable with things around you, your choice is to either practice ACCEPTING that what’s happening, is happening. Or … you can take steps to change it. This, in essence, is why I am a writer and an artist. This also, is why most people do what they do. Because I have never been happy with the materialism and non-spirituality of modern society, in my youth, I ran away from it. I fled to the Third World and stayed living in jungles and sailing on the deep blue sea for over a decade. 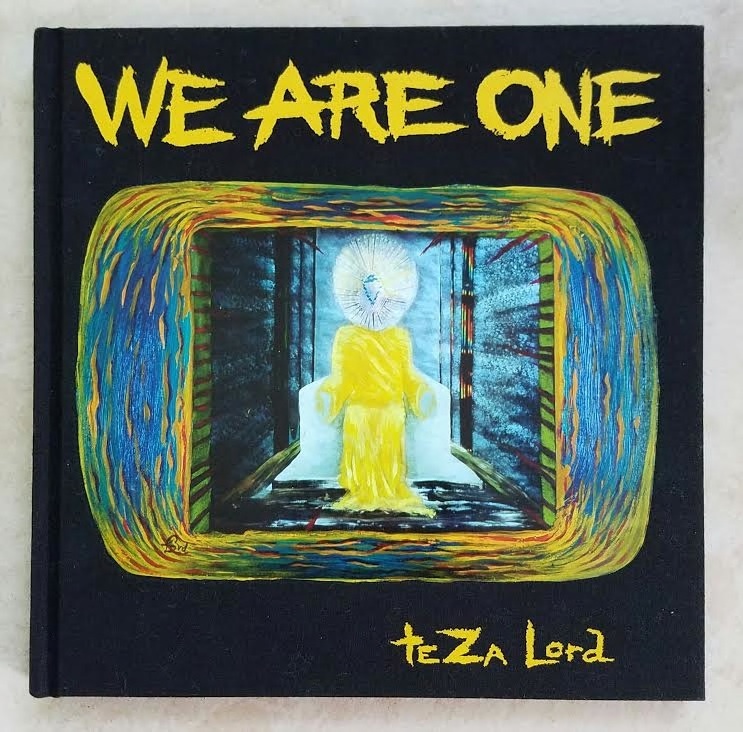 When I came back to mainstream America, I swore I would use my talents of arting (creating object- and word-stories) to help others become more familiar with the Oneness Consciousness that, to me, is what this existence, called “life” is all about. You may call that consciousness something else: Nature, God, Allah, Spirit, whatever. But Oneness works for me. These days I focus on what I can DO to be more comfortable in a world torn apart by divisiveness and materialism. I don’t run away anymore. Today I feel just great, actually, that my focus is on DO-ing, and not feeling weird, mad, confused, or … worse … destructive. My energy used to be “stuck” in the 2nd chakra, feeling pissed-off. Now my energy feels free and powerful, utilizing the direction the 3rd chakra connection gives me. I share my experiences in hopes that each and every person realizes that when you get “signals” from your gut, that’s your 3rd chakra telling you something. Pay attention. If you numb it (with drugs or alcohol, shopping, work, gambling, or other addictions) — you’ll probably just get sick, sooner or later. You certainly won’t be happy, that’s a fact. If you work on clearing this disturbed energy from your solar plexus (another name for the 3rd chakra) … you will enjoy peace, happiness, and good health. Align your will with the highest, Ram, Ram, Ram. And please, let me know how your inner power feels today. Sit quietly and ask yourself, “What is this weird feeling I get in my gut?” I want to know. Leave me your comment below. And don’t forget, I’m sending out a free mind-stiller audio-clip for people who leave me their emails. Below is an easy way I’m experimenting using. Please fill in and let’s BE CONNECTED! Tell me how your “gut” is feeling today.